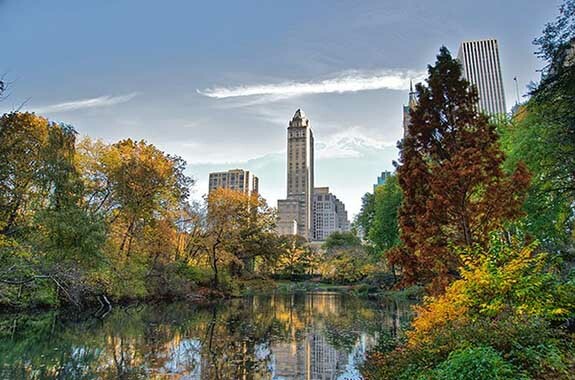 New York City's Central Park — the verdant oasis of majestic trees, rolling lawns and bass-stocked ponds just steps away from the bustling metropolis — has been named by Celebrity Cruises as the most popular place in the world to pop the question. The company analyzed more than one million Instagram posts from the past 12 months with the hashtags #shesaidyes, #hesaidyes, #isaidyes and #proposal to pinpoint the specific places where the most marriage proposals took place. Interestingly, back in March of this year, the wedding-planning website Hitched.co.uk used a similar methodology — analyzing hashtags such as #bridetobe and #engaged — to define the most popular landmarks associated with engagement messaging. Of the 16 most popular locations picked by Celebrity Cruises and the 10 most popular spots pinpointed by Hitched, only three appear on both lists. Those include Central Park, the Brooklyn Bridge and the Eiffel Tower. The Celebrity list is more global in scope, with 13 of 16 sites outside the U.S. The Hitched version lists only four of 10 outside the U.S. In March, Hitched had named the Sleeping Beauty Castle at Disneyland Paris as the most romantic place on earth. The site estimated that 1 in 500 marriage proposals are posed in front of that picturesque landmark. In fact, while Hitched touted three Disney sites in its Top 10 list, Mickey Mouse's favorite venues didn't even crack the Celebrity Top 16. Here are the top places to stage a bended-knee photo op, according to Hitched. Please note that Central Park and the Brooklyn Bridge, which ranked #1 and #3 on the Celebrity list, are grouped together as #6 on the Hitched list. These two lists offer hopeful lovers a wide range of romantic backdrops for their big moment. We hope to see your #proposal posts on Instagram. Credits: Central Park image by Ed Yourdon from New York City, USA [CC BY-SA 2.0 ], via Wikimedia Commons. 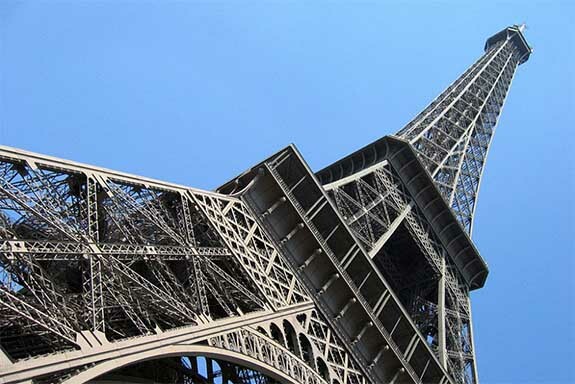 Eiffel Tower image by HjalmarGerbig [CC BY-SA 3.0 or GFDL], from Wikimedia Commons. 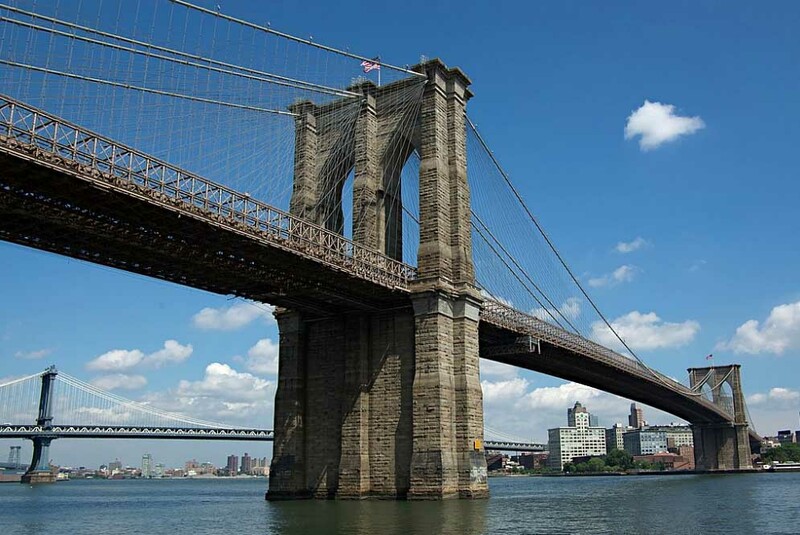 Brooklyn Bridge image by Tiago Fioreze [CC BY-SA 3.0 or GFDL], from Wikimedia Commons. 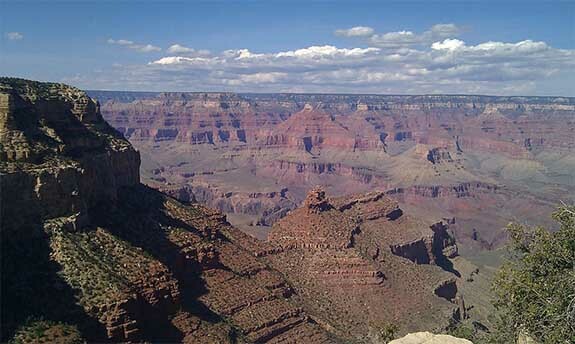 Grand Canyon image by Sean McMenemy (Flickr: IMAG0834) [CC BY 2.0 ], via Wikimedia Commons.